That’s right! These services are FREE! Sellect Realty believes that real estate should be more than just selling and buying houses. A real estate agent can do so much more for you, and be your guide in the real estate world. Many people in Georgia have developed relationships with their agents, only to find that they lose touch, or only hear from them when there is a potential sale. This is called a “real estate transaction.” Our brokerage does not promote transactional processes. Instead, Sellect Realty promotes a real estate experience by offering much more in service to our clients. We put the client/agent relationship at the top of our list of priorities by providing complimentary professional realty services. 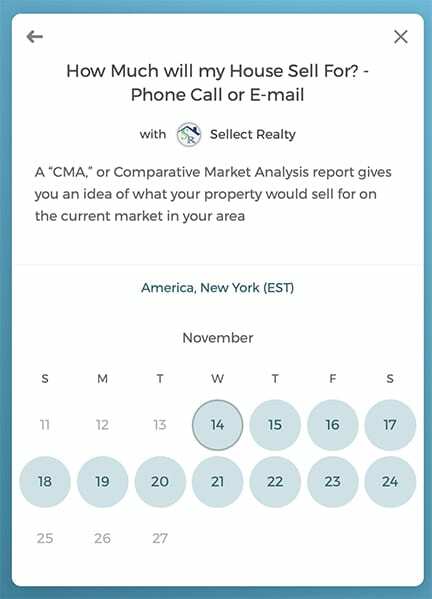 A report commonly called a “CMA,” or Comparative Market Analysis is provided by a Sellect Realty agent upon request. The CMA Report gives you an idea of what your property would sell for on the current market in your area at the present time. This report is a valuable professional realty service for anyone planning on selling real estate in Georgia. Did you find a property for sale you like while browsing online or driving by? Do you have basic questions on selling your hone, but don’t quite want to commit to putting a sign in the front yard, just yet? Have any of your questions answered about the real estate buying and selling process: from loan pre-approval to the days well beyond deal signing. In addition, if you would like to speak to a professional realty services representative sooner, please call us at 770-509-0265. Not all changes are good! Estimate the added home value of an upgrade, remodel, or repair to your home before you start construction. That remodel could become a headache when you try to sell your house. Ouch! Don’t let this happen to you. 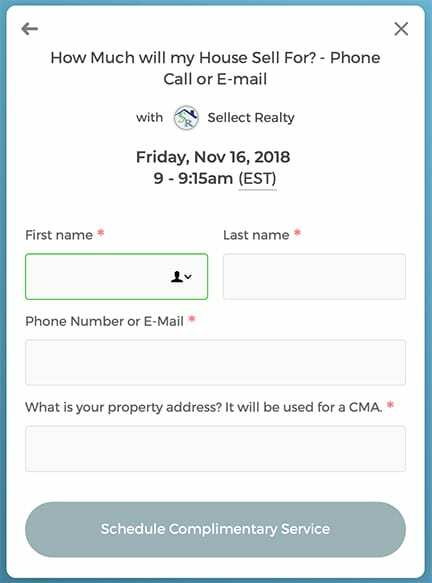 Value estimates are complimentary professional realty services with Sellect Realty, and will benefit you for future sales. 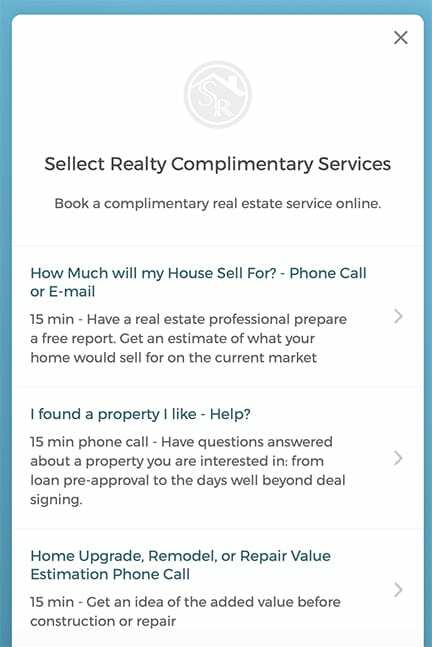 Real estate professionals have great connections to service providers such as home appraisers, plumbers, electricians, and more. Contact our office at 770-509-0265, or email to ask us who we recommend for your needs. Sellect Realty values the person to person relationship, and therefore, recommend outstanding service providers with whom we have genuine experience. What a great, complimentary professional realty service! Interested in becoming a real estate agent in Georgia? Speak to experienced real estate professionals about our career! You may be surprised how versatile and exciting providing professional realty services is as a full-time job. Furthermore, no day is alike, and every client is different. Real estate is definitely not a desk job! Have a real estate expert interpret your property tax assessment, or dispute the assessed value in your interest. You probably didn’t know about this great professional realty service you can ask for. Nevertheless, don’t be left without understanding an important document such as your property tax assessment. The knowledge has the potential to make a large difference in your finances. Get the latest information on development and builds in your community from real estate experts. It’s our job to know what is going on in our community and surroundings. The wealth of knowledge real estate agents have about your area may surprise you. It is a complimentary professional realty service to you to keep you informed about the current happenings upon request. 1. 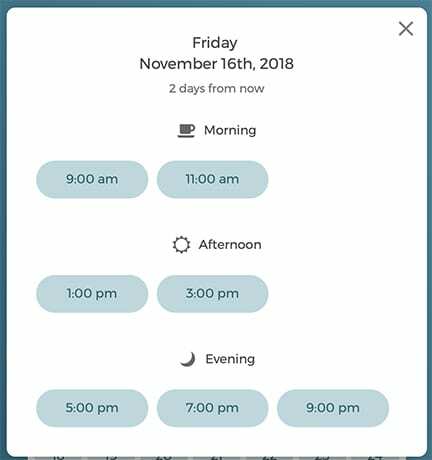 Click on the “Schedule Complimentary Service” button located at the bottom right corner of the homepage. 4. Choose a time for your complimentary service. 5. Fill out necessary information for your service. Then, you’re done! We will do the rest!